Chris Reed and Christopher W. Tindale, eds. 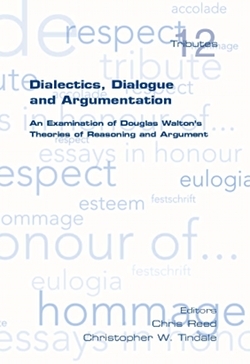 This festschrift is in honour of a leading philosopher of argumentation. His theories of argument structure, whilst rooted in Aristotelian philosophy, have been influential in computer science and artificial intelligence. His theories have a strong empirical side and cover much of how argument and debate is conducted. They examine how the process of exploring disagreement and reaching consensus can be structured, and how the 'nuts and bolts' of reasoning in communication are put together. His theories are increasingly finding application in computer science, where his approach to commitment based modelling of dialogue has influenced the design of protocols for software agents, and his work on argument structure is being used to guide the development of a new, world-wide argument web.